Fashion silhouettes have been regularly recycled over the centuries, each time with a new twist. 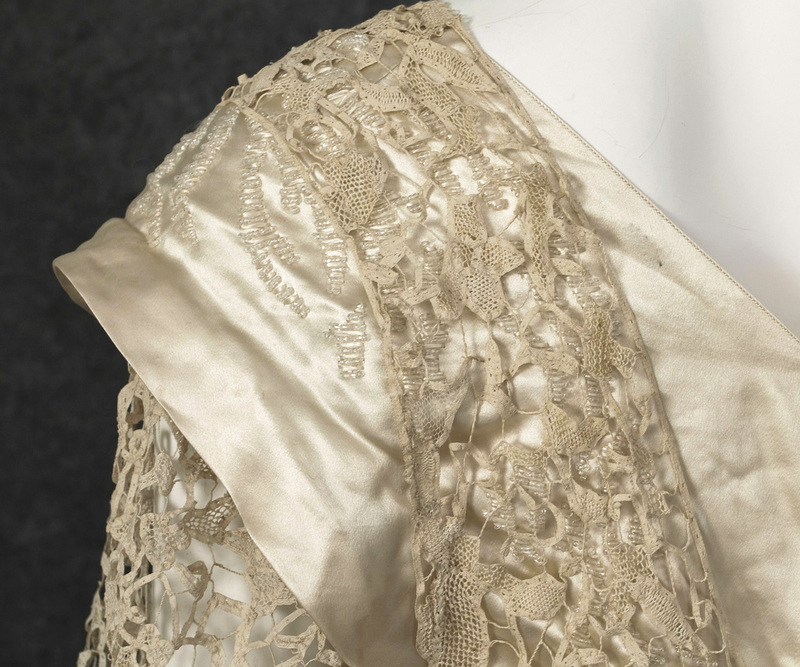 The long lean lines and empire waist of this regal wedding dress are reminiscent of gowns worn by Empress Josephine at the French court in 1805. 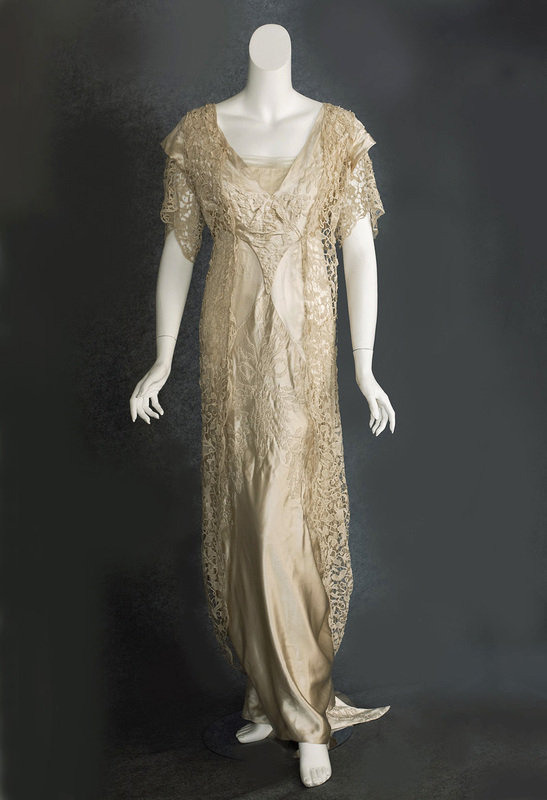 On the other hand, the elaborate beading, draped lace, hobbled asymmetric skirt (Paul Poiret), and fishtail train are early 20th century innovations. Made from champagne colored satin with a draped overdress of very fine hand-assembled tape lace, the majestic gown will make an indelible impression on the viewer. 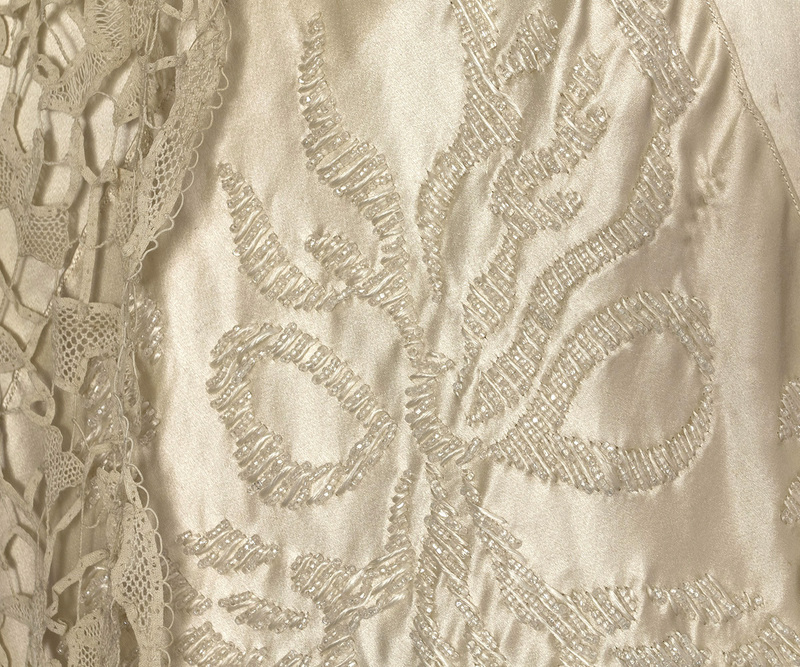 Cognoscenti will appreciate the superb hand detailing, e.g., the gossamer delicacy of the tape lace motifs. The bodice, skirt front, and fishtail train are embroidered with loops of sparkling crystal beads. The asymmetrically draped skirt has sewn-in weights to ensure it hangs properly. The skirt forms a small back train with three delightful pointed petals. 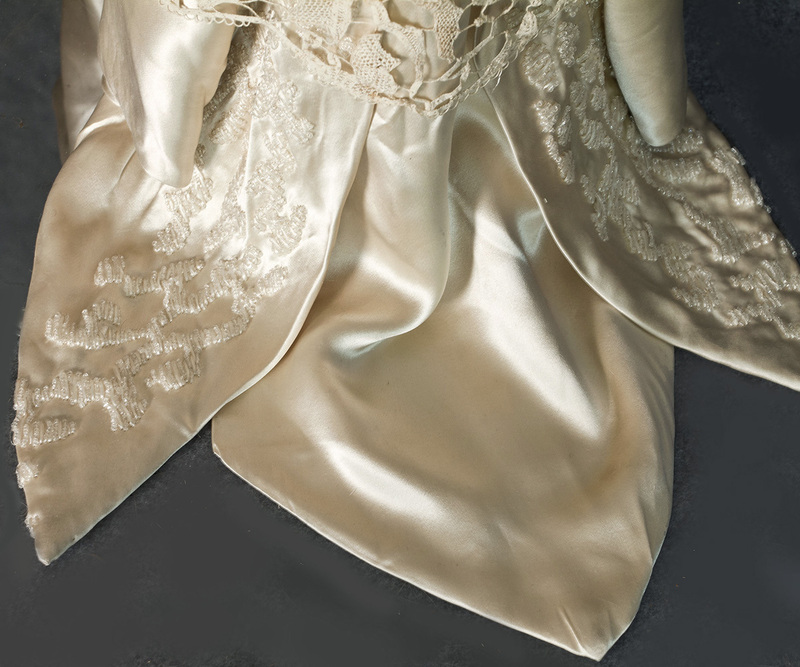 Our museum quality Edwardian wedding dress is a two-fer: a magnificent collectible that is also perfect for the bride who wants a one-of-a-kind couture look. It can be "something old" on your special day. 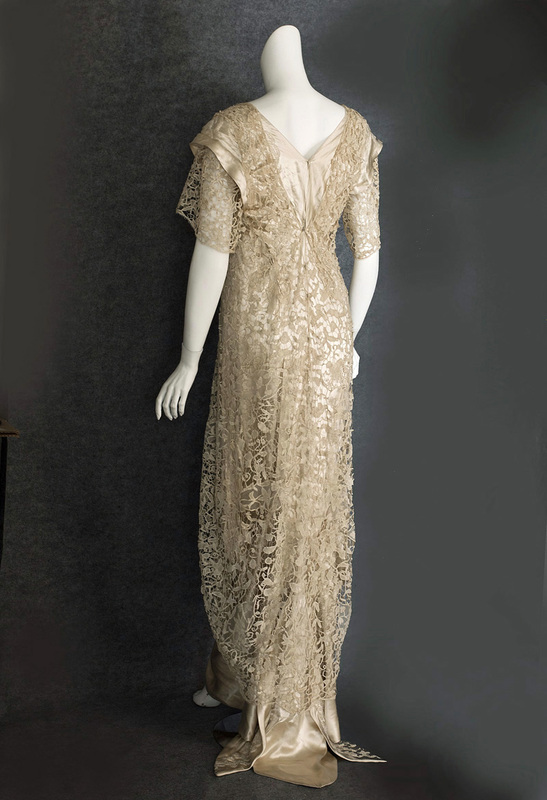 Imagine your walk down the aisle wearing this heirloom quality dress. 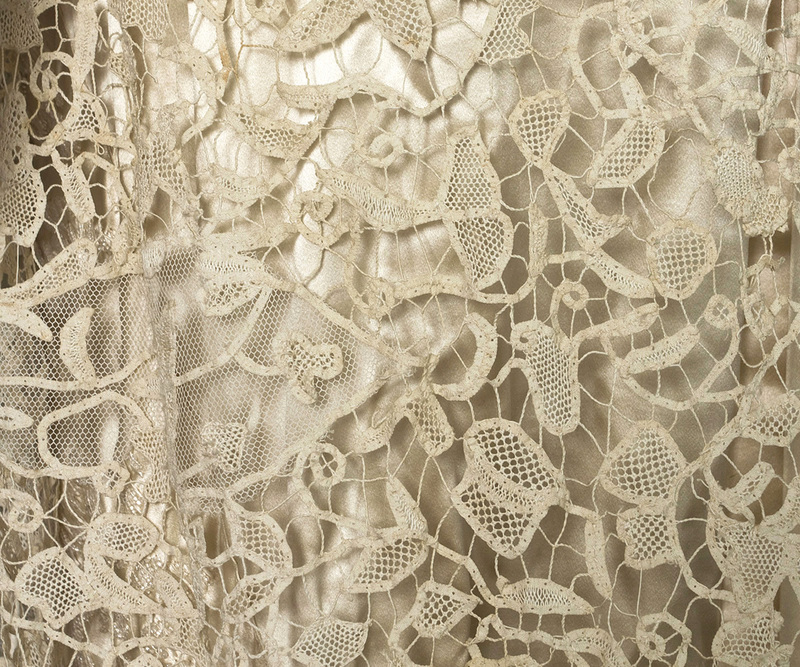 For the collector, an antique wedding dress is also a great store of value. 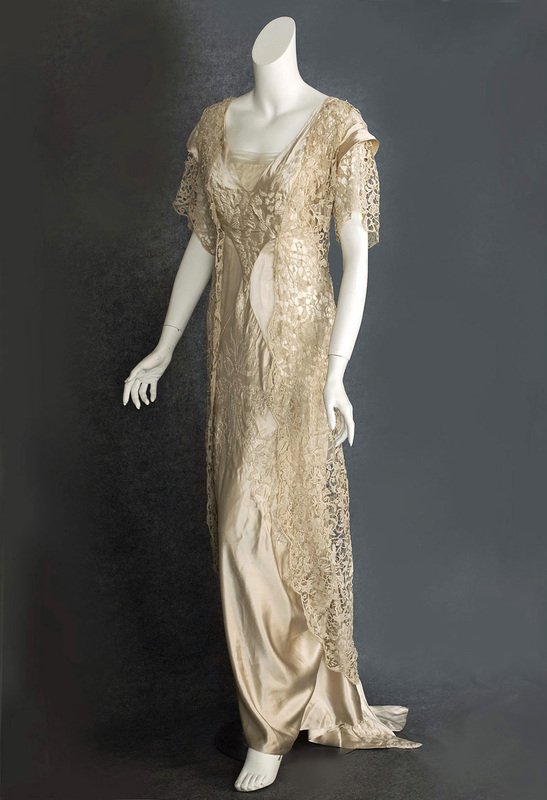 These fine Edwardian dresses have been increasing in value over the last 15 years. 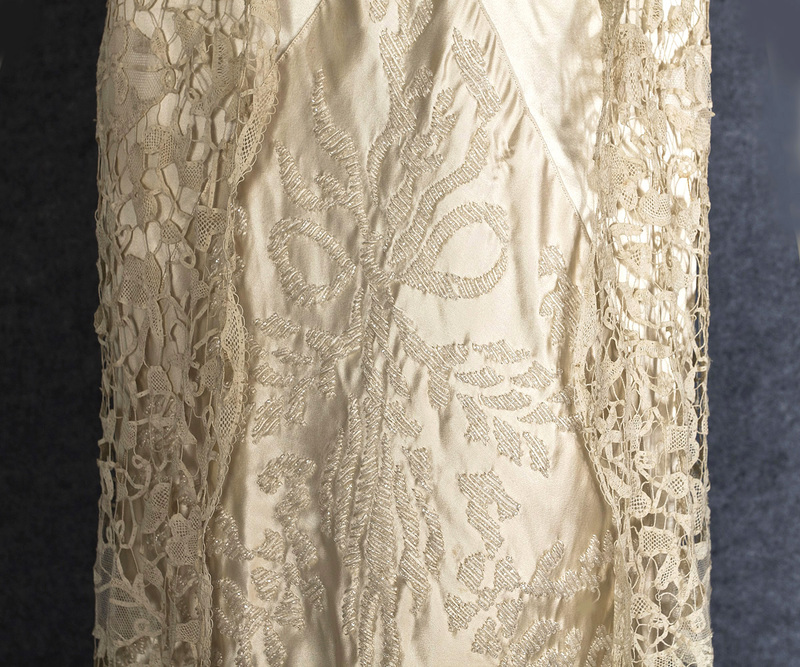 Purchased from the upscale Marshall Field's department store in Chicago, the grand gown has the Marshall Field's label woven into the petersham. The condition is almost excellent. 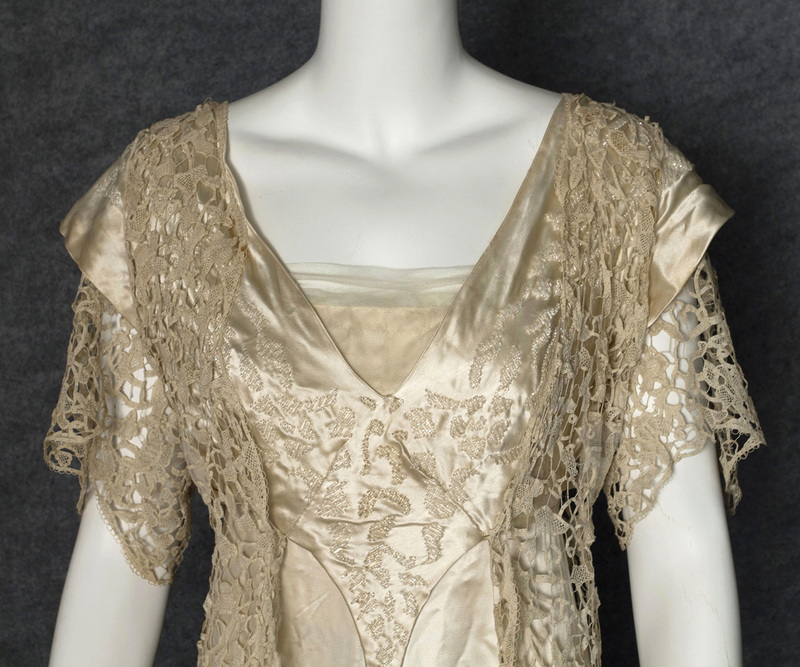 The boned under bodice has been backed under the arms where the silk was shattering. I did not remove the under bodice because I value intact, original design. The gown is completely stable and displays beautifully as is. It measures: 36" bust, 28" high waist, 38" hip, and 62" from shoulder to front hem.